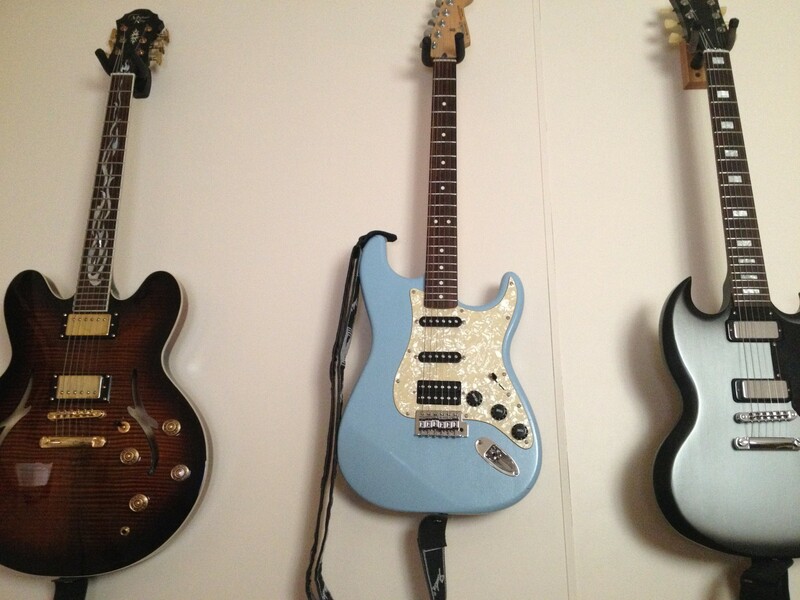 My guitars are up and my rug is down. Other than that, most of the last few weeks have gone by in a blur. Still haven’t been able to do anything about the ugly curtains in the library, mostly because they’re currently blocked by a bookcase which I can’t move until we know where it’s going, and room is cleared in that space for the going thereof. Wish I could keep it in here, but there’s no room. I’m planning a couple of low profile bookcases but otherwise, I have to work with what I have. Still too much stuff for the space. Can’t make more space, so the solution is painful, but obvious. Part of the reason for the blur is that most of the mornings have been turned over to the book, which doesn’t leave a lot of energy in the afternoon for getting the house where we want it. Still a ton of stuff to do. On the plus side, we seem to have survived our first New York winter. I’m told this was a rather mild one (coldest night was a mere -19 F). Fine with us. We were hoping for a training winter, so I could develop my snow shoveling and salt spreading chops. Very different from the south. In Mississippi we were losing the concept of seasons. It was either Summer-like or Winter-ish, and Winter-ish was losing ground steadily. A lot of places don’t even have seasons anymore, at least not like they once did. Up here in Central NY, that’s not the case. At least for now. “Yamada-sama, I was instructed to give this to you personally,” Hiroshi said. After the poem, there was a simple message: “I would speak with you in private.” I dismissed Hiroshi then showed the paper to Kenji, who frowned. “It seems you will be allowed an audience with the High Priestess of Ise,” he said. My time at court had been so long ago that I sometimes forgot the way the mind of someone raised in the emperor’s circle tended to work. The message would have seemed innocuous enough to anyone else who discovered it, yet to the intended recipient—myself, in this case—there was far more to be read. Princess Tagako’s note reminded me of Teiko in more ways than simply the poem. It was more than indelicate. It was deliberate, implied far more than it said, and was aimed precisely at me. This entry was posted in legends, novel, Process, Writing and tagged guitars, seasons, Yamada Monogatari: The Emperor in Shadow by ogresan. Bookmark the permalink. Really, really want to read the book…. Writing as fast as I can.